A unique menu board. Full service restaurant with a lean and structured menu. The white and pink colors present a trendy sophistication. The graphics too contribute to its elegance. 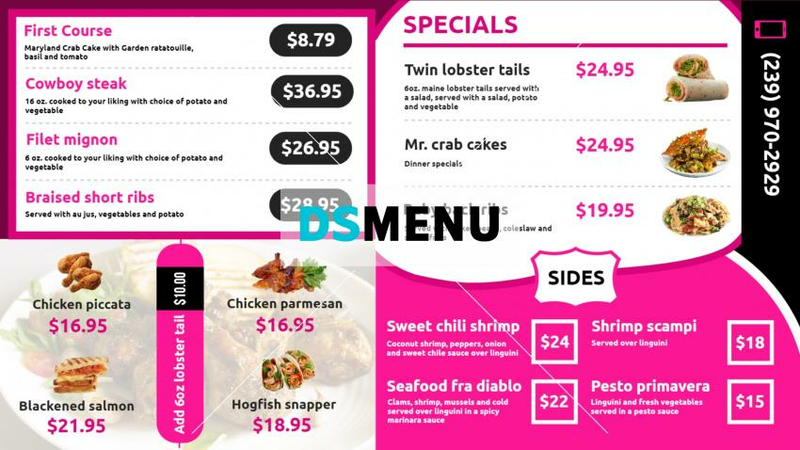 On a digital screen this menu board will surely illuminate the vicinity and beyond. Menu board best placed at the entrance as well as indoors.